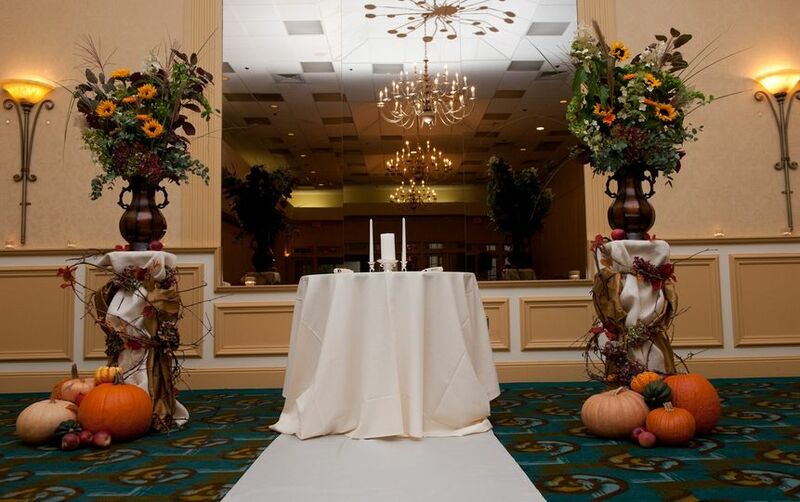 The Holiday Inn Norwich is a full-service hotel and wedding banquet facility conveniently located in Norwich, Connecticut. Make wedding planning simple and stress-free by allowing the expert wedding team help plan every step of the way. 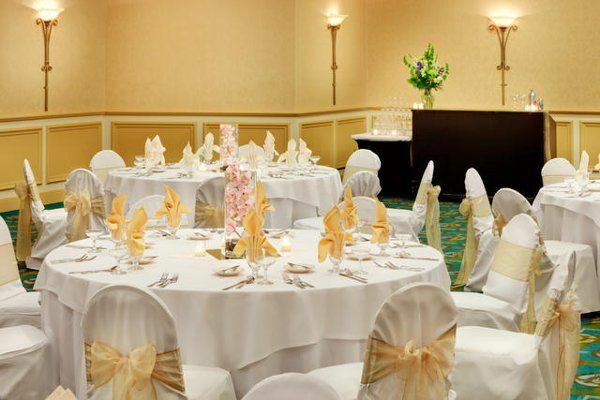 The Holiday Inn Norwich offers wedding packages to accommodate weddings of all sizes and budgets. 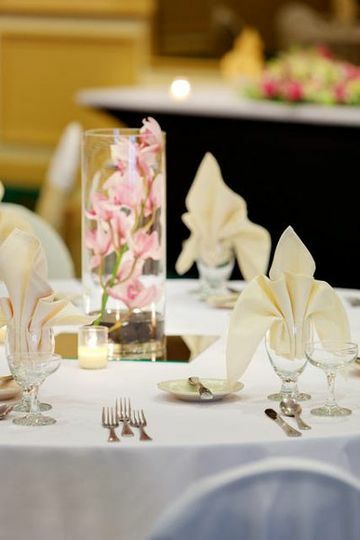 They also take care of dining options for your engagement party, bridal shower, rehearsal dinner, wedding ceremony or reception. 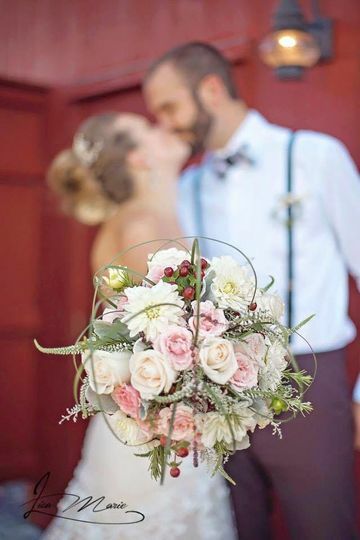 The hotel offers overnight accommodations for you and your guests, and includes a complimentary overnight room for the bride and groom on their wedding night. 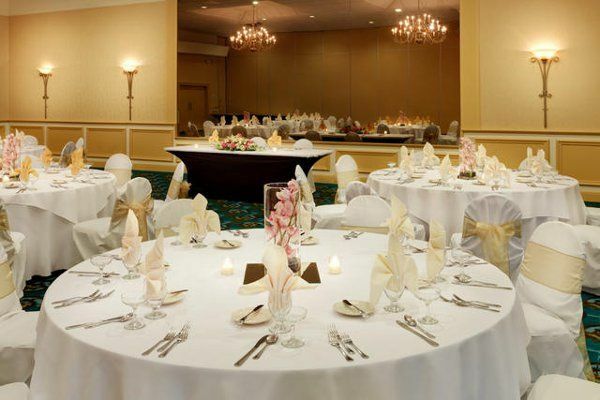 The Holiday Inn Norwich can host weddings of all sizes. 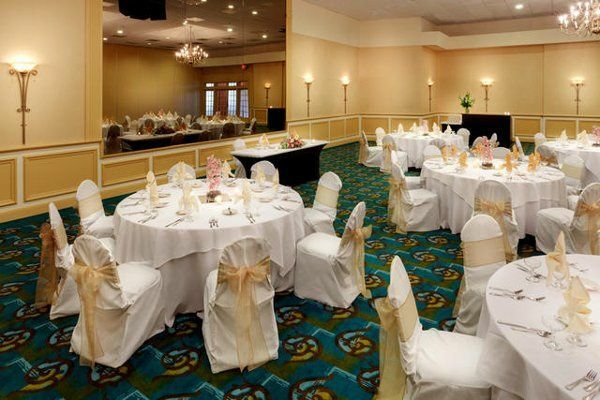 The elegant, newly renovated Chelsearose Ballroom can accommodate up to 350 guests. Richelle at the Holiday Inn of Norwich was THE best! She listened to us and did the best job. The food was great, the staff was professional. Everyone had a great time! I would recommend this venue to anyone. We all had so much fun meeting your friends and family . Allowing us to be a small part of your special is awesome and makes my job not feel like work. Enjoy your lives together, and cherish each day. I can't say enough good things about the Holiday Inn Norwich! 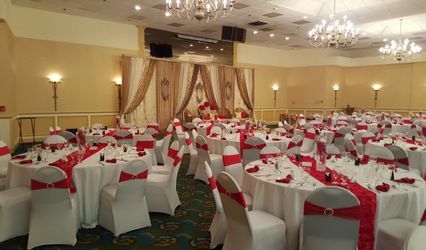 The ballroom at the Holiday Inn is a great space that can be so adaptable. My husband & I got married & had the reception in the ballroom. We had about 80 guests so we had one side of the ballroom set up for the ceremony and the other side set up for the reception. We worked with the Sales Manager Richelle Meneses and she was a true professional to work with! The entire Holiday Inn crew was just so pleasant, helpful and really know what hospitality and customer service is all about. We opted for a buffet package and the food was amazing! We did a prime rib carving station, had a delicious chicken/prosciutto dish & stuffed sole. Our guests loved the meal & appetizers. One of our guests were vegetarian and they were happy with the meal as we did also have vegetable lasagna, a summer mix of vegetable sides and a wonderful plated salad. We worked with Richelle and she was very patient and always made time for our calls, emails and the occasional pop in. Richelle let us bring decorations & favors days in advance so she could start setting them up for the big day. The staff did a wonderful job setting up the venue, I was blown away with the space & how it all looked. My bridal party had one of the conference rooms to get ready in and HI set up mirrors there for us to get ready. My husband & I had a complimentary room for that night and our guests that stayed there had a great rate. Our wedding night we came back to our room to a bottle of wine waiting for us, Godiva chocolates, a note from the staff and a platter of cheese & fruit in the mini fridge. 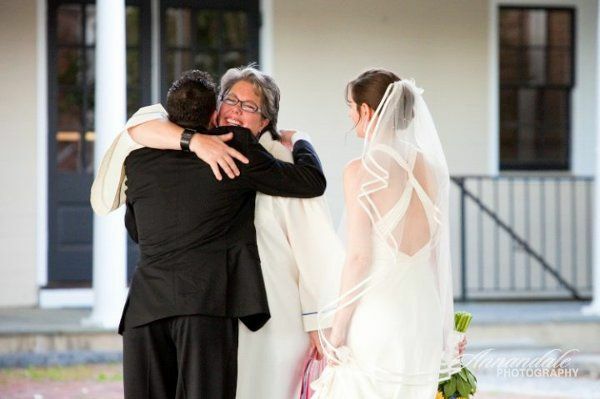 It was all so thoughtful and indicative of the touches that this venue provides. The hotel is a great location, easy access off highway and so close to Mohegan Sun with complimentary shuttles there. The Holiday Inn is an exceptional value and is well worth every penny! I highly recommend this venue. We all loved sharing your day with friends and family. I truly enjoyed helping you through the planning and getting to know you two. The two of you are a terrific couple and I know you will love your life together forever. We had our wedding reception at the Holiday Inn Norwich. It was a really good value, especially with how expensive weddings can be these days. We had about 150 guests, and they all had a great time. The food was great, the staff was helpful, and it was really great to have the reception in a hotel because our guests could stay right onsite. They were accommodating with all the little details we had put together, and everything went smoothly the day of the wedding. We would recommend this venue! It is always a pleasure working with our friends at the Holiday Inn. Always professional, always helpful, always courteous and always a delight! 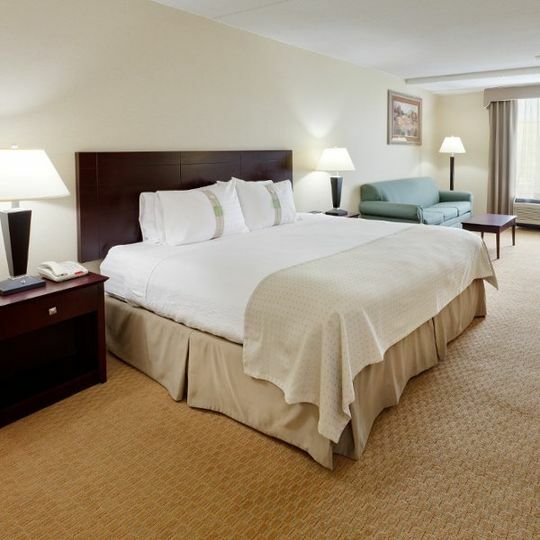 The Holiday Inn Norwich in Norwich Connecticut offer you and your guests everything in one location. 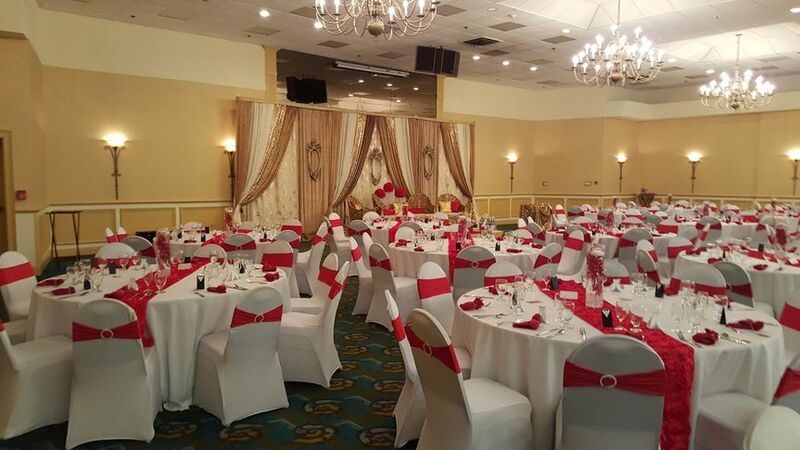 You have newly renovated rooms with a gorgeous Grand Ballroom that has one of the biggest dance floors in the area! After your event you can continue the fun with an After Party in the Sports Bar and Grill with friendly staff or jump on a shuttle to the casinos.